In Greek, the word "ephemeros" means "short-lived." No one knows why early Greeks chose this term instead of just saying "short-lived." 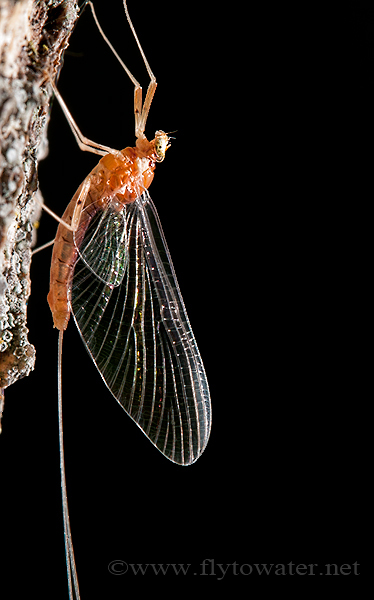 What we do know is that Order Ephemeroptera is used by scientists to refer to mayflies (presumably because adults are short-lived), and that Greece is bankrupt due to poor toga sales and obfuscation. 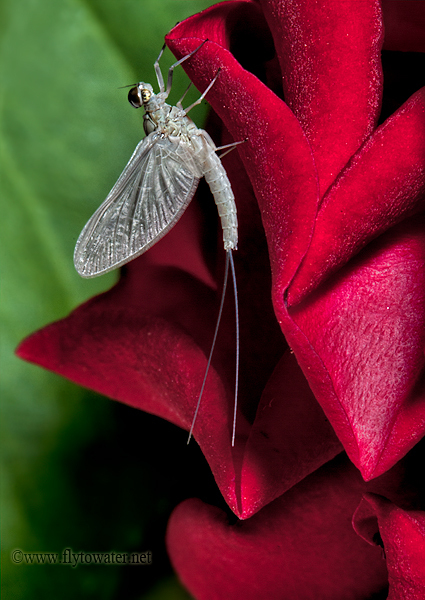 However you refer to them, mayflies fascinate fly fishermen (LintFlickus Hookibilis - From Latin, literally meaning "Hooks himself with lint"). Anglers have limited numbers of brain cells by adulthood. Many can attribute this to the cerebral pickling effect of 18-year LAPHROAIG, while others may not have had substantive numbers at birth. 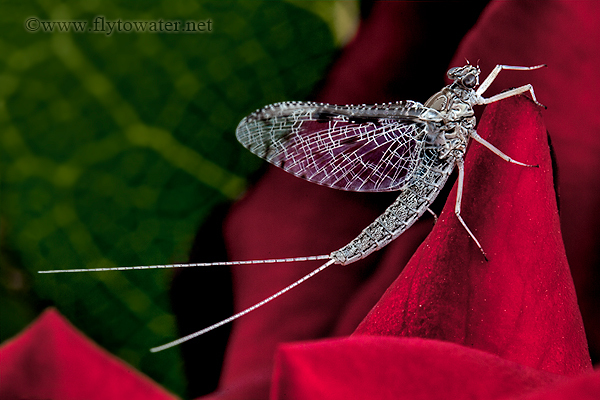 Either way, the considerable mental horsepower given to mayflies is noteworthy. 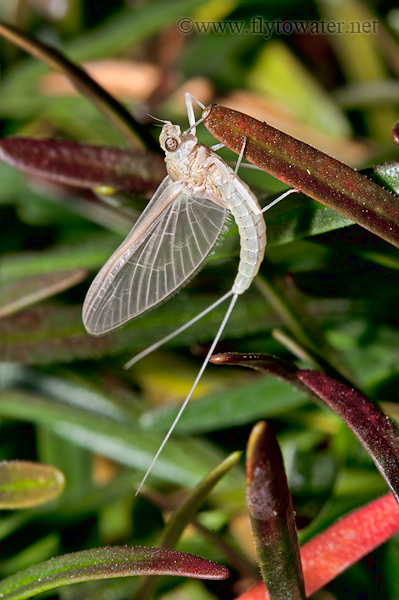 For example, when we see a member of Order Diptera, Family Chironomidae floating down the river, the angler may casually refer to the insect as a "midge." 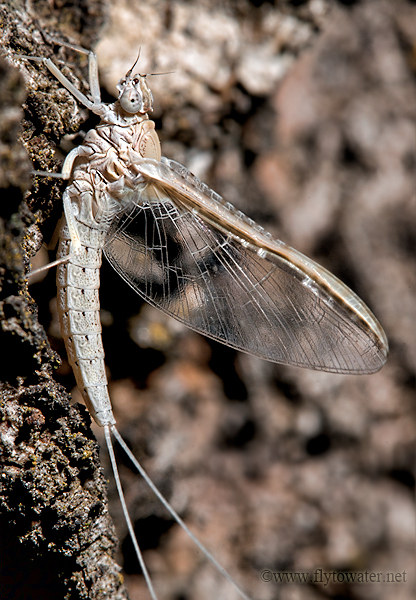 By contrast, when seeing a speckled mayfly on the water, a field identification of "callibaeits" will invariably be used. True, we sometimes cheat and shorten terms like Hexagenia to "Hex" but everyone knows what is implied: If you can't say something smart, say it in Latin. 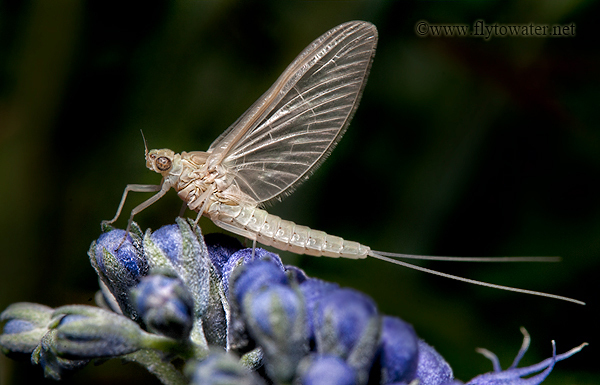 The mayfly may actually be the "fly" in fly fishing. After all, one of the earliest references to fly fishing (circa 200 AD by Ælian) describes what many believe to be dun imitations. Hopefully there's a hatch coming to a water near you. I like your writing as much as your photos :) Great shots!! Thanks Lynn. Are you headed up to Henry's anytime soon? Mike: Thanks for the comment, and in point of fact you're correct. Anything over 12 years old is not "hard liquor."